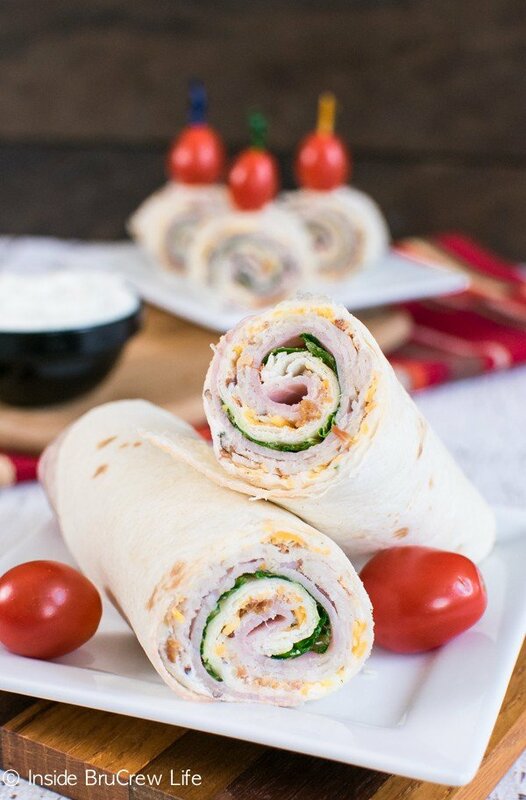 These easy Turkey Club Pinwheels are full of meat and cheese. They are great snacks to pack in lunches or eat as an after school snack. 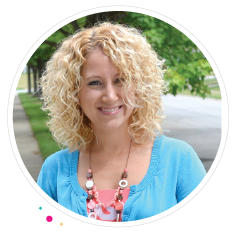 *I am partnering with the American Dairy Association to bring you a fun Back to School recipe. It’s that time of year again. Time to send the kids back to school with backpacks full of binders, pencils, and red pens. Is it just me or does summer seem to go by faster and faster each year? It seriously feels like we just got out. Although I’m sure some of that has to do with the midwest weather being so much cooler and wetter than we are used to during the summer months. This past week our kids went camping with their grandparents. My hubby and I headed over to the parent orientation at the school, and then we went to the store to get the basic school supplies. Our daughter was so upset that we would do school shopping without her. I can’t tell you how many countless texts she sent saying not to go. We tried to explain that we were just getting the boring stuff…pencils, pens, notebooks, paper, and binders. Then the texts started being specific about what kind of pens and paper she wanted. I think we did pretty good at getting what she wanted. Although she was pretty happy when we took her clothes shopping when they got home. Another thing our kids love doing is planning out what food they want for breakfast and lunch during the school year. Of course they ask for the basics like chips and cookies, so we have to “suggest” healthy food like meats and cheese. One thing they all really like are these fun pinwheels. They are full of different cheeses, meats, and some yogurt. These pinwheels are so easy to make. Spread on the dip and layer the meats, cheese, and lettuce. Then roll them up and refrigerate until you need to pack them in lunches. Our kids are old enough that they can make their breakfast and pack their lunches without much help in the morning. We just keep the fridge stocked with fresh milk, cheese, and yogurt to encourage them to eat healthier. These healthy choices in the morning keep them fuller longer and also helps them focus more on school work. There are so many children who are not fortunate enough to have that milk in their refrigerator during the school year. In an effort to help the Great American Milk Drive, the American Dairy Association Mideast will donate $1 for any “like”, “comment”, or “share” on our recipes on Facebook. This is such an easy way for you to help needy families in your community. 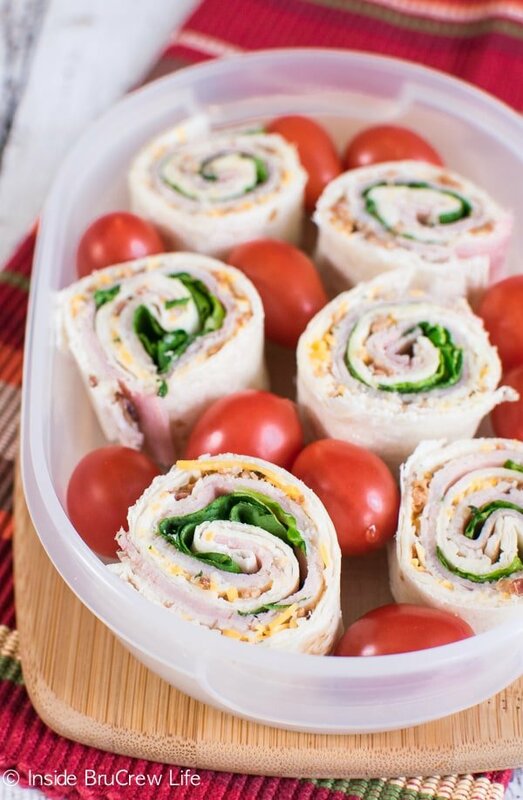 These little pinwheels are great for packing in lunches or eating after school. There is just something fun about eating bite sized food. Of course if you have an older child, you might want to just give them the full size roll up. I know my oldest would not be so thrilled if he had to munch on these little bites at the school lunch table. These are also a great snack to share at any tailgating party or game night. Feel free to customize the meats and cheeses to fit your taste. Just spread a little bit of dip on the tortilla before layering on the meats and cheeses. Then set out a bowl of the dip or pack a small cup in case someone would like more on their pinwheels. 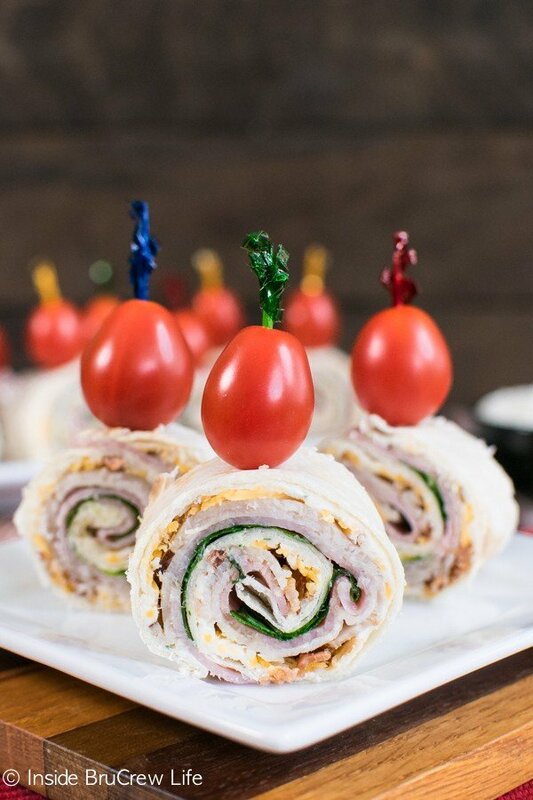 A plate of these fun turkey club pinwheels with toothpicks will disappear in a hurry no matter where you serve them. And you can just sit back and smile knowing you helped everyone get one of their dairy servings for the day. 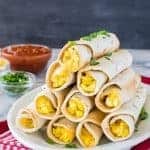 Cheese and yogurt along with meat and cheese make a delicious lunch or snack treat when rolled into a tortilla shell. Perfect for school lunches or after school snacks. Mix together the cream cheese, yogurt, and ranch powder. Spread a spoonful of dip over each tortilla. 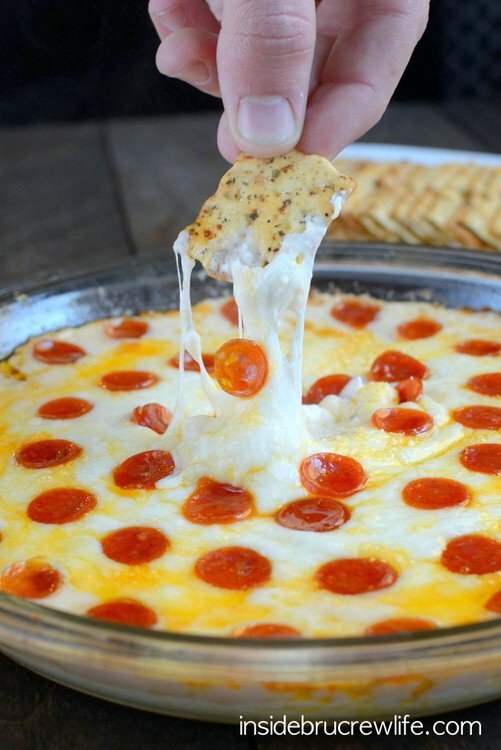 Sprinkle the cheese and bacon on top of the dip. Place 2 slices of ham and 2 slices of turkey on each tortilla. Then layer some lettuce on top of the meat. Gently roll up and wrap in plastic wrap. Refrigerate for one hour. Cut each tortilla in 6 slices. Top with a toothpick and grape tomato. Store in a sealed container in the refrigerator. Makes 24 pinwheels or 4 roll ups. *This post has been sponsored by ADA Mideast. As always, all opinions are 100% my own. Fun and simple always make the best snacks and recipes, right? I hope your family enjoys these!!! I despised sandwiches growing up in my lunch box but had they looked like that- You’d have had a fan! 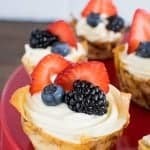 these look delicious and love the cheese/Greek yogurt combo used! Thank you!! My kids aren’t big sandwich eaters either, so I’m always looking for fun new ways to send lunches. I wish I would have had these growing up too!!! 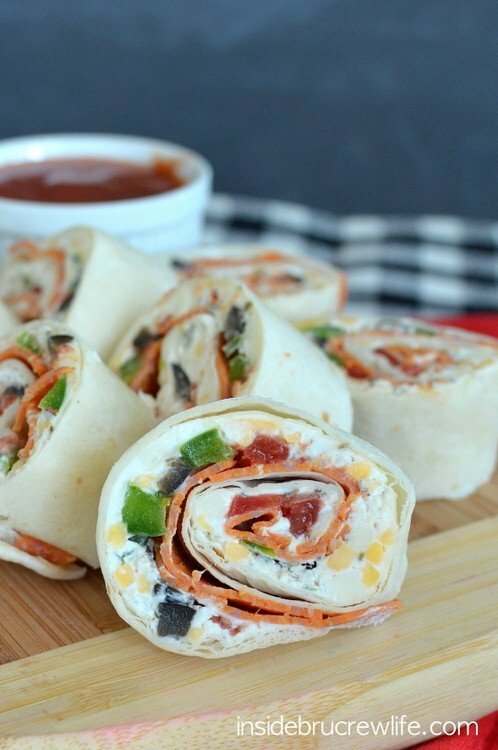 I don’t have kids to send back to school, but I totally want these pinwheels for lunch today! I mean simple, healthy and fun to eat? That is my kinda meal! Pinned! I admit…I ate quite a few of these fun little pinwheels! 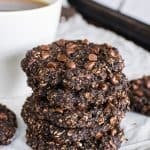 These are definitely snacks I need to make for after-school! Cute little treats like this are such great after school snacks!!! These turkey pinwheels look just perfect, Jocelyn! I love how they can serve as an appetizer, lunch, or even as part of dinner! Yes, I love how pinwheels like this work for just about any meal. Anything to break up the sandwich routine, right??? I hope your kids love them! So fun! Can’t believe it’s almost back to school time. Definitely going to have to add these for the menu. Perfect for lunch, snack, party .. everywhere:) Very clever and delicious! These are awesome Jocelyn! Pinwheels are seriously a staple in our house – especially for lunches 🙂 I have yet to come across a combination that I didn’t like! We are the same way. Something about a fun little spiral gets everyone excited about lunches!!! I think my kiddos would love these in their school lunch!! 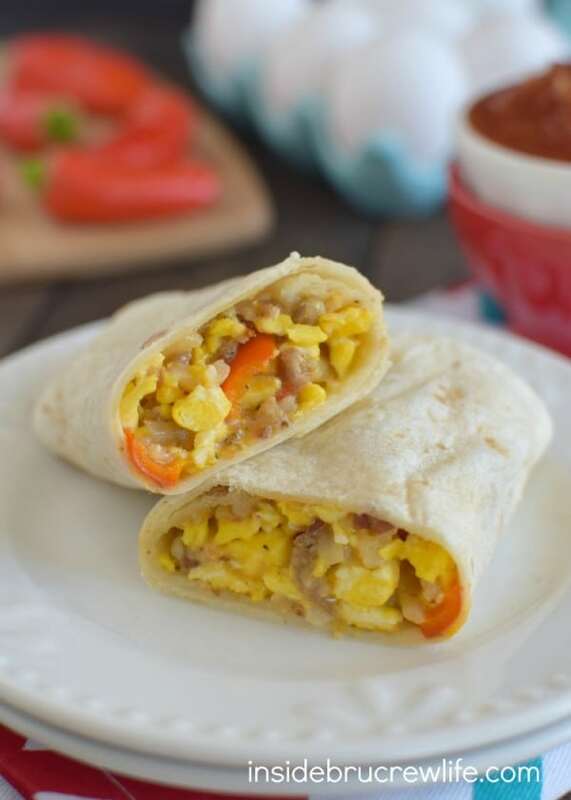 My daughter is totally into turkey wraps so she would love these! I definitely think she would love these fun pinwheels too!!! 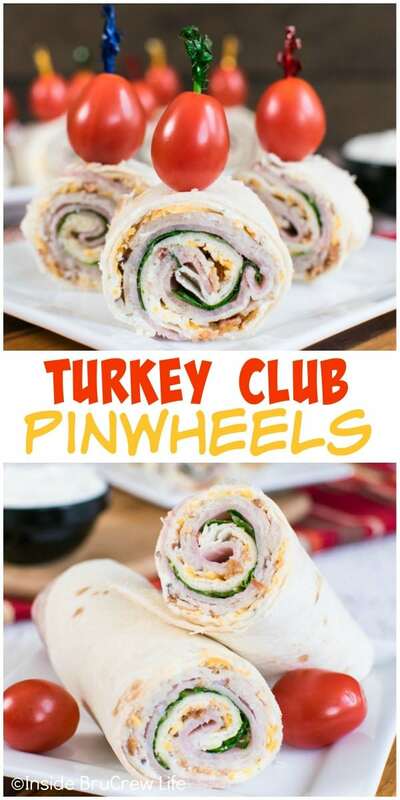 Sorry, but I do Facebook but I must say, your Turkey Club Pinwheels looks Fantastic. I like almost any kind of pinwheels; just as long as they aren’t spicy hot. 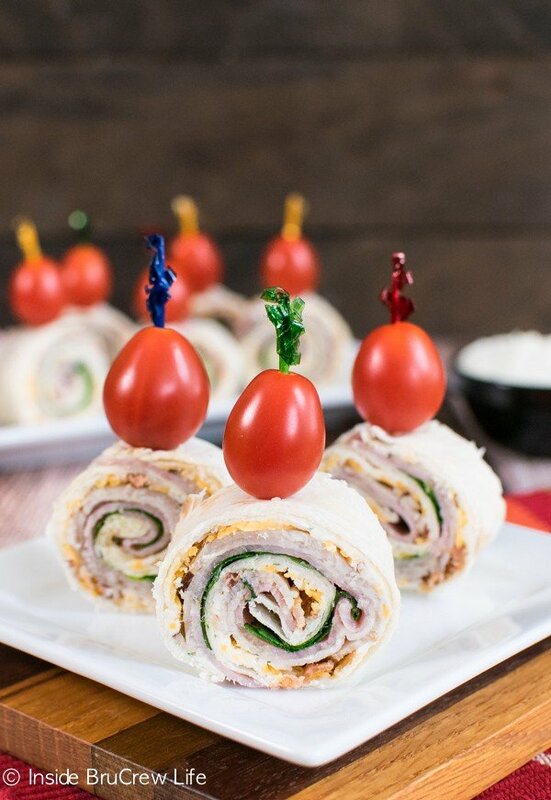 Love these pinwheels… so much more fun than sandwiches! Pinned! This is such a great idea. I want it for my lunch! I’m all for easy! These pinwheels would be simple enough for my kids to make for themselves. 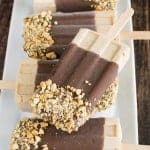 These are such a fun alternative to PB & J! Anything easy that the kids can do gets an A+ in my book!!!! You’re totally right, summers do go faster and faster! 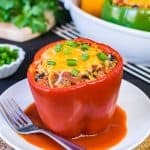 And these would go pretty darn fast into my pie hole – I would love these for lunch!! I still can’t believe summer is over now!!! These really are the perfect little lunch!!! 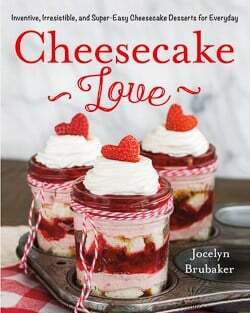 These look so amazing, Jocelyn! I love pinwheel sandwiches! Thanks, Hayley!!! I do too!!! Nope, not bad at all! I actually ate quite a few when I made them!!! My kiddos love pinwheels! So easy and so delicious! Pinned! This looks like such a perfect lunch for kiddos! I never think to make pinwheels for the kids. Love this easy idea for lunches! I want to pack this in my grown-up lunchbox! I used to eat a turkey sandwich almost every single day for lunch, so I would have been all over these. The Greek yogurt and ranch spread also sounds amazing! 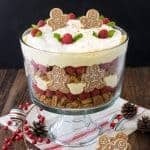 I like this recipe but I don’t know that anyone in my family will eat greek yogurt….what do you think you could replace it with, do you think plain yogurt would work maybe? But, I will pass this great recipe on to them too, so they can make it for their grownup lunches now too!